How to transfer videos to your iPod/iPhone/iPad? By default iOS devices can only read videos in the MP4 format. You can always try to overcome this limitation using the VLC media player for iOS. This tutorial will walk you through how to convert and transfer videos to your iOS device. Convert video to MOV to MP4 from iTunes? Go to the Library > Movies section. Add the video file you want to convert. Select the video, go to Advanced > Create version for iPod and iPhone. A second video is created (in the MP4 format). Connect your iPod or iPhone to the computer. It will be listed in the Device section. Click on your device > Manually manage music and video. Go to the Movies tab and select (check) the videos you want to transfer. Movies2iPhone is a software that can encode videos in a format compatible with iOS devices. It is compatible with XP and Vista. Click on "Convert movie for my iPhone"
Once the conversion process is completed, transfer the video file to iTunes and repeat the above operation. Thanks to Kamu and Frantz69 for this tip! Published by jak58. Latest update on October 19, 2016 at 04:02 PM by Olivia Long. 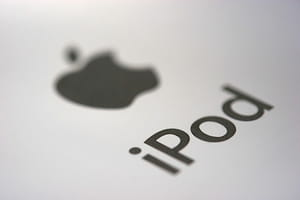 This document, titled "How to transfer videos to your iPod/iPhone/iPad?," is available under the Creative Commons license. Any copy, reuse, or modification of the content should be sufficiently credited to CCM (https://ccm.net/).